How should you respond when approached? What should you consider before making that decision and committing your time, energy, and often your own personal funds and reputation? As with any important decision, a prospective board member needs to familiarize him/herself with the organization and its current board, not merely rely upon their impressions of the personality of the board and assumptions as to how it functions. Not every board functions efficiently. This will take some tact, but you need to discover who is on the current board, their skills, and experience. What you are looking for are peers who get along and have spheres of influence that complement your own. Not every nonprofit, whether well-established or new, will have board development and a good makeup. Ideally, there ought to be someone with strong financial skills to assist the board in meeting its fiduciary duties of financial oversight. You know how you were asked, but how does the organization get new board members? Is it a diverse group, or is it close-knit? If everyone is a friend of the CEO, there will likely be troubles in making those hard decisions, gaining attendance at events, and reaching out to a broad base for fundraising. Again, in an ideal world, what you should find is a nominating committee that tries to strike a balance of diverse skills that each board member contributes. Find out whether board members have to be elected or approved by the organization's membership. Often, such politics can be a source of strife, where social dynamics of a large or small group can determine your experience once committed to participating. You also ought to find out how long the board members have and are expected to serve. Discover the length of a board member’s term and if there are term limits. For new organizations, there will likely be an issue if a founder is involved. Such early years will have board members who have rolled up their own sleeves to carry out the mission of the organization. If you are one of those initial board members, ask yourself if you have the time and energy to commit? If you are one of the board members coming on shortly after that period, you may be entering at a difficult growth period where the board recognizes the need for new ideas, but may suffer the pains of having to actually follow the lead of new members. Then again, it’s not always easy to enter an established board. Members have a built-in dynamic of “this is how we do things” -- often willing to hear new ideas, but if they get implemented, like a new board, you better be prepared to roll up your own shirtsleeves and do it yourself. Some boards have very long terms, such as five years. Can you be sure that you will be able to serve that long? If the term is very short, say two years, will you have time to make a difference? Ask to see the by-laws. It’s important to know how you will be notified of how the board defines quorum, to put differently, just how many board members are needed to take action? An organization's by-laws will have to specify how many board members there are (usually 6-12), and quorum is how many members must be present to do business and vote. Ask if the group has difficulty establishing quorum. Also be sure to check the by-laws as to how attendance is defined. Sometimes one must be physically present, while other groups could permit proxy or attending by phone or video conference. Does the by-law provide that you must also be a member of a committee? This will mean you must commit not only to obligations as a board member, such as reviewing minutes, financials, supporting documentation such as fundraising plans and annual budgets, but also those obligations of the committee upon which you will serve. Common committees that many nonprofits have are fundraising, public relations, nominating, special event, and audit committees. Be sure to ask whether you will be assigned to the committee/s or if you have a choice in determining the one that most interests you and suits your skills and available time. Just because the nonprofit is exempt from income tax, doesn’t mean it doesn’t need to meet its expenses, and to do so, it must have source/s of income. You can ask to see the budget, and minutes from the meeting where that budget was presented. You want to watch for sources of income and salaries of key personnel. Also watch for contingent liabilities which might indicate a pending law suit. Further, nonprofits must file an annual tax return, or Form 990, available to the public. You don’t want to commit to an organization that is insolvent. Be sure to ask to see the books and records, or at the very least, Form 990. If you are denied access to their Form 990, and they don’t fall under an exemption and don’t have to file one, then consider this an immediate reason to decline their kind invitation to join their board. While looking over the financials, make sure that all taxes are paid. Just because the nonprofit is exempt from corporate taxes, does not mean no taxes are assessed. Sales, payroll, and unrelated business income are just a few types of taxes that you need to make sure the organization is current. This is important because if a nonprofit fails to pay its taxes, the IRS can impose harsh penalties. There may even be personal liability placed upon the board should the board fail to meet their obligations of oversight. Sign the dotted line, who me? Ask whether the board has Director and Officer insurance. This basically covers board members who have carried out their duties, but may be named in a suit. Examples include a sexual harassment suit, or perhaps the bookkeeper who absconds with those precious charitable funds you worked so hard to acquire. In the off-chance the nonprofit does not carry insurance, call the provider of your home owners insurance and ask if your volunteering as a board member for a nonprofit would be covered. If not, you may want to request whether or not they would underwrite a rider. If you believe in the mission, you will be asked to go beyond dedicating your time and skill to carrying it out. The bulk of fundraising happens with what professional fundraisers call “the big ask.” That won’t be done by the development director, but by members of the board, turning to their contact list of family, friends and colleagues. The most effective way to get those family, friends and colleagues to open their checkbooks is for you to have done so first. Pay attention to the funding sources when reviewing the nonprofits books, because very often, many of those funds were not raised $25 at a time. Be sure to look in the by-laws for a required minimum or simply ask if there an informal expectation that members donate at a certain level. Sometimes that amount can be in trade or in time, but usually this is not the case. Although the board’s role is often described as “managing the affairs of the organization,” there is a fundamental problem: running a nonprofit is not the work of part-time volunteers. Your job as a board member is to make sure there is sufficient management. Therefore, one of the key decisions for a board is selecting the key staff, and in particular, the Executive Director. If the nonprofit is not mature or is so small that there is no staff, as mentioned above, be prepared to have to commit to carry out the policies that you set as a board member. When going over the minutes, one of the things to look out for is whether the staff, or key volunteers are included in the meetings. Neither the top executive nor the staff should be excluded from setting policy. Trustee: The first function of the board is to serve as a trustee and protect the public’s interest. Nonprofits receive preferential tax treatment because they provide a “public” service that would not otherwise be available without subsidy. However, since the public at large are not actual shareholders with a vote in selecting the board, the board’s job is be a fiduciary and represent the public’s interest. Board members must wear the formal, governance hat. It is both a legal obligation and a moral responsibility. The reality of most nonprofits is that board members also have to provide additional volunteer help if the organization is to succeed. Committee: strategic planning, fundraising, and community relations to name just a few. other areas where staff needs assistance, such as drafting annual reports, and creating strategic and fundraising plans. As mentioned above, in addition to your responsibilities on the board, one thing board members do is attend committee meetings. Because large group meetings are not the best place to conduct in-depth problem solving and planning, most nonprofit boards develop a committee structure to handle much of its work. Based on what the board deems most important, it determines the number and kinds of committees it needs. Committees are the workhorses of the board. So, if you’ve been lured by the promise of only monthly, bi-monthly, or even quarterly board meetings, you may end up with a much greater time commitment. Remember the adage, if you don’t want to accomplish anything, form a committee. Understandably, committee members can focus their attention and energy on one or two organizational concerns, rather than on every problem and opportunity that comes along. You will want a strong committee structure in place, otherwise those board meetings will be intolerably long and loaded with detail. Serving as a member of a Board of Directors of a nonprofit organization can be one of the most important, influential, and satisfying experiences of your life. Unfortunately, many people have unpleasant stories to tell about their experiences as board members, due to misconceptions about the role and functions of the Board of Directors. These articles and materials on this website are written to provide information about the services we offer to our clients and to provide information of general interest about a variety of legal subjects. What do you want? Have a side hustle you're not sure is a business? Do you want your business to run and steer clear of legal trouble? Have you started your career, and are just starting to accumulate some savings, thinking of getting married or buying a house? Feel like you "don't have anything" why bother? Are you approaching or in retirement, and not had a legal check up? Want to make sure your loved ones are cared for? Life and legalities intersect, whether you intend it or not. How you answer those legal questions will determine whether the legalities hit back. It was recently pointed out to me, on separate occasions, that people don't relish visiting their lawyer, nor does anyone enjoy filling out forms. Despite being a fun person with a big heart, I have to admit, there are so many lawyers and options out there, you can't swing wet socks without hitting someone or some site. I understand the choice of settling on good enough for now. It seems more effective use of your time and affordable. There seems to be so much legal information and education available to anyone who can enter a few search terms. The answers come from sites with amazing five star reviews, so they must be okay, right? Sally used what's it, and her business is doing well. They reduce what can be a headache of a many a legal process to an automation and contact with a person the minimum required. The minimum personalized contact is designed to maximize both profit and, where legal advice, to keep compliant with state by state bar licensing requirements. Long after the 5 star reviews on those quick answers with pages of disclaimers, tarnish because inevitably, because who you are and what your business is up to is unique and beyond the deck of questions sent to you by the site's automation. Unlike those sites selling the equivalent of a form on a clipboard from an office supply, an attorney, including ME, needs to be licensed where you live and reside, or where your business is situated. So, folks, if you or your business isn't in Kentucky, and you still want me to help, I have a wide network of fellow solo and small practice attorneys with whom can help. Add to it, attorney's actually have ethics and continuing legal education. This is because the law, and it's nuances are continually changing. The American Bar Association has model rules, and state bar associations have ethics rules about attorneys with multi-jurisdictional practices (read: they are licensed and practice law in lots of states). This isn't to say I can't answer questions about other state laws, but any substantive matters, I bring local counsel in. As long as we are licensed on a state by state basis, this is a reality for any lawyer. That's a good thing, since every state has different laws on contracts, business formation, employment, to inheritance. The type of law I practice is not a one size fits most quick internet answer to your legal questions. If that makes you dread meeting up with me or anyone in my profession who wants to take the time to really get to know you and what you want, let me ask you this. 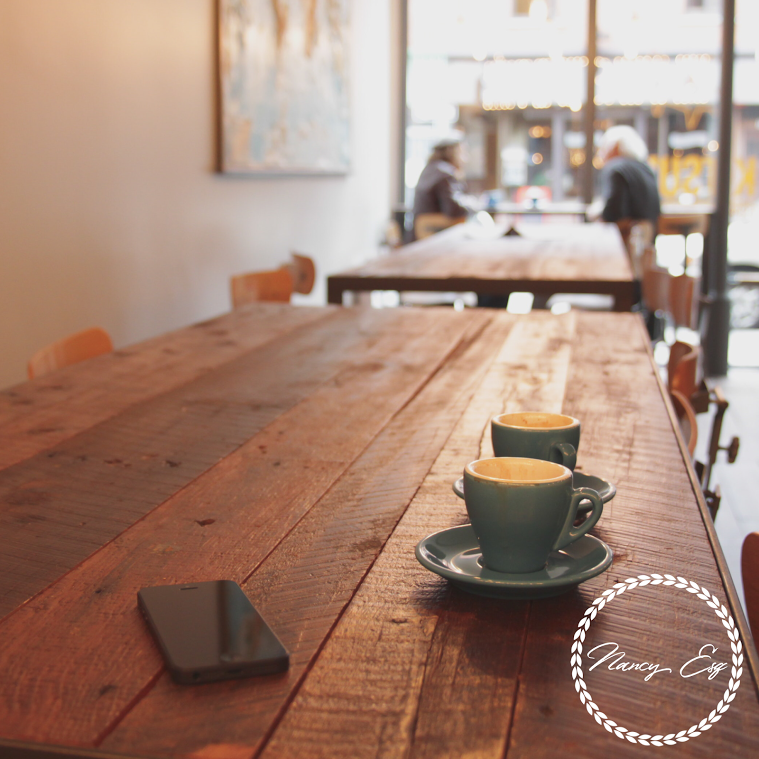 Is your business or life reduced to 25 or so questions that populate a form? Are you willing to risk it all, if it's wrong? Any document is only worth a few things: your willingness to enforce it, ability to defend yourself, and whether the document was drafted accurately and in a way favorable to you in the first place. Meeting clients and getting work done is part of my favorite aspects of practicing law. I promise to make it as personable and efficient as possible. I do use some automation, but that's so it's as easy to engage and interact with me (business hours please) as it is to order your amazon purchase. I have met clients at a cafe and former small town general store (go to Brenda's Cafe in Simpsonville, Kentucky, she suffers no fools), a warehouse office with saw horse desks, or even tack rooms with horses as coworkers. I've also met with clients virtually, using Hangouts or Zoom (still hoping for them to add snapchat filters that make me look like Mrs. Jetson). It's the portability of the law coupled with my experience and ability to get to know you, beyond a deck of online questions, that can make all the difference. That's right. Toss it. Or at least, revamp how you use it. What you need is to focus on what's in front of you because work expands so as to fill the time we set aside to do it. The solution seems impossible at first: set shorter time periods, and boom! See your productivity soar. It's called the Parkinson's Laws. It's how Sweden doesn't sacrifice productivity when they instituted a shorter 6 hour work day. I'm asking for donations to Hosparus Health Inc. I've chosen this nonprofit because their hospice mission means a lot to me, especially after they have helped our family so greatly these last two years. In hindsight, we waited too long to call in for hospice support for Mom. Like so many, we, aged parents and caregiver children alike, presumed their services were for "the end." When it's you, or someone you love, facing what that means is daunting. I believe that we are strongest when we ask for help, because it is often at a time we are most vulnerable. I will forever be grateful for the skilled and supportive care of our team of professionals that stepped in those last weeks with Mom. She got her dying wish; to be home and surrounded by love. My parents had their home, vehicles, retirement, and legal documents all in place. Providing that peace of mind for my clients is one of the more rewarding aspects of my law practice. This is Dad's and was Mom's favorite picture of one another; taken in England in 1983. Mom and Dad lived fairly independently through much of their retirement. They were both teachers, Mom was a preschool teacher and an early childhood innovator, advocating that play is work for small children. She was also an artist and small business owner, and Dad had been in sports broadcasting, marketing for the local university, a high school, and later professor and university administrator. They traveled, and even lead tours of their beloved England. They packed more in their years together than many of their generation whose childhood was peppered with hunger during the Great Depression, had dared. 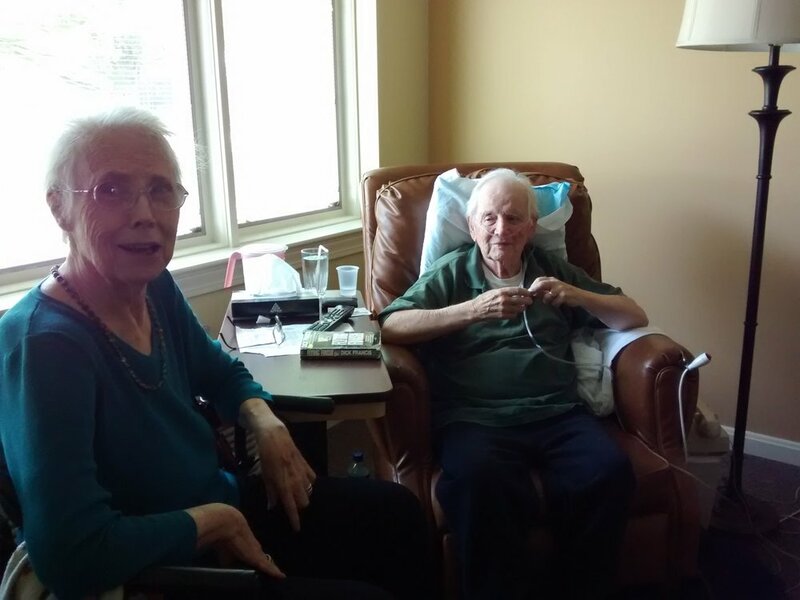 Mom and Dad were hospitalized and in rehab at the same time and that's when they realized it was time to leave their home of the last 30 years. 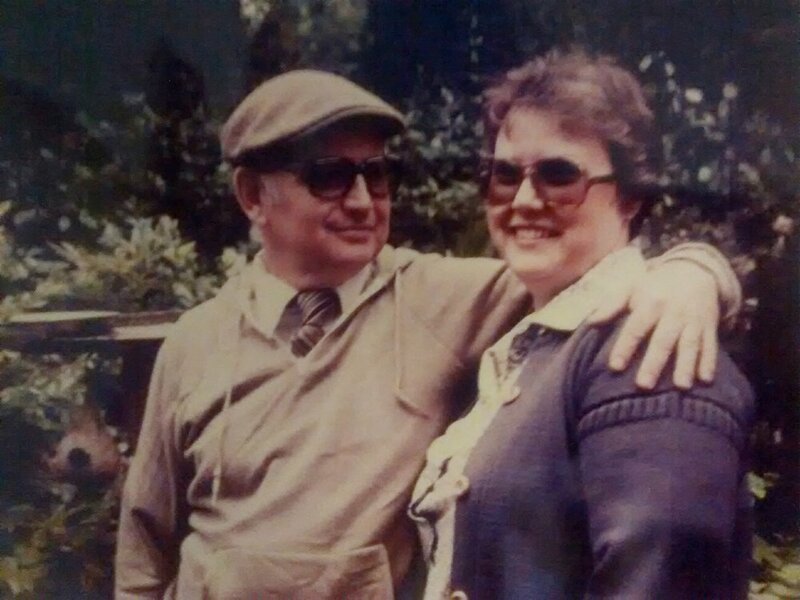 When they moved from their farm and home, to an apartment, Mom thrived in their building. She reconnected with old friends and made new ones. It was the best thing. Dad, well, he did it for her, and begrudgingly admits it was okay (my sisters and I might say better than that). He continued to live in the space they'd shared, until he physically couldn't. When he settled in with us, he said he'd felt at home for the first time since leaving the farm. Mom and Dad went through 58 years of marriage together, and in my 46 years with Mom, I can honestly say, I've never gotten to know my Dad the way I have since we lost her. It's different, deeper in a way. Don't get me wrong; they were good together, and I miss my Mother in such a way that it brings tears and warmth as if she were still holding my hand or giving me one of her amazing hugs as I type this. I don't know if I could have taken on bringing Dad home end of last summer without the support of Hosparus. Hospice care is not just for those last hard days or weeks, but for anyone who wants the most out of the health they have, without undue hardship on those helping care for them. The skilled care supports the entire family, and makes every moment of living count. This Valentine's Day, I hope you'll consider contributing as a way to celebrate with me. Every little bit will help me reach my fundraising goal, because loving someone is without bounds. Does the Government Shutdown Impact your small business? If you have a large number of veteran, active service or federal employees who are your customers, rely on a federal landmark, or perhaps you've filed for an early tax refund, you may be $@& out of luck. If your business relies on your ability to travel abroad, and your passport is pending, you're in the same S@#& house. The real situation to cause small business owners to clinch if you're relying on a loan guaranteed by the Small Business Administration. If you count you're among those whose business relies on getting the cash proceeds from an SBA guaranteed loan and you've put your name on the line? Well, the current government shutdown, you and your business are in the swill. It’s first when the legislative and execimutive branch is inder control of one party since the change in budget process in the mid-1970s, impacts you and your business. A shutdown halts federal loans to small businesses. During a shutdown, the Small Business Adminisitration stops approving applications for small businesses to obtain loans and loan guarantees, typically $1 billion per month. During the 2013 16-day shutdown, the SBA was unable to process about 700 applications for $140 million in small business loans. My Mom taught me calligraphy when I was 12. She taught continuing education classes on calligraphy and her other art form, brass rubbing. When she was a child, they didn't have a word for what she experienced: dyslexia. Her parents believed what the teachers told them: she was slow. So, she worked extra hard and copied her mother's handwriting. She got so good at it, one time my maternal Grandmother was called into school and had to give a handwriting sample to prove a note she had sent was written by her and not my Mother. As an adult, she fell in love with reading, and aspired to have beautiful handwriting. She spent hours taking her favorite phrases and turning them into calligraphy pieces. This was after the era of Kilroy was here, but before the internet meme! I learned how to run a business at my Mother's knee. She opened her own artist studio and gift shop, and would set up booths at art fairs. She led by example how to run and promote her small business. My husband and I own a design, screen print and custom sticker shop, and so I've added screen printing to my skill sets. He founded it, just like my Mom had, on a shoe string and running booths and pop-up events. 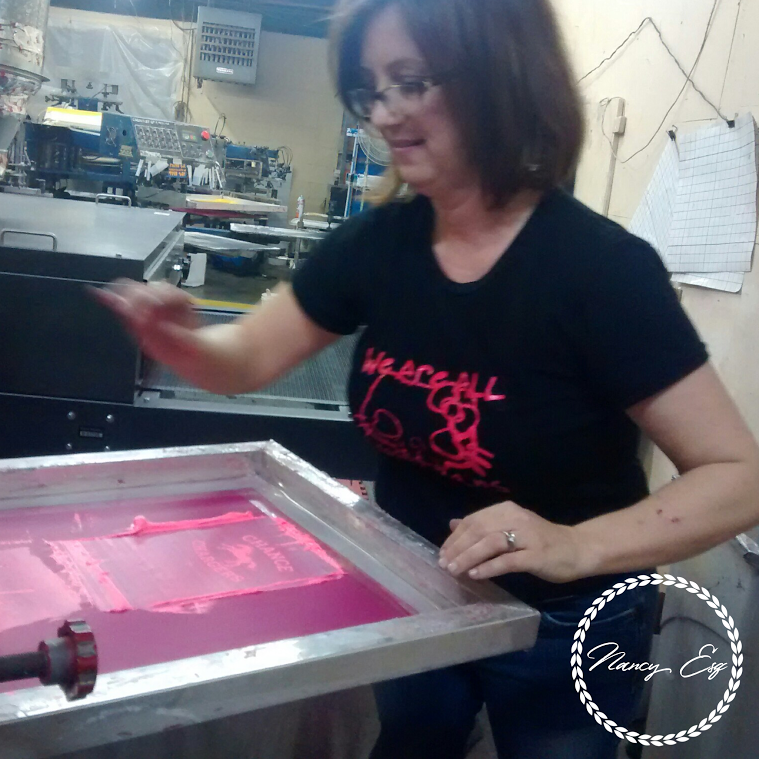 He taught me how to screen print, and so now, I make my own line of shirts and sundries. No business, even solo ventures, operate in isolation. There is quite a bit a hubbub about the new tax law. Many armchair quarterbacks, a flurry of emails (I've sent them), news and professional articles attempting to condense or translate into simpler terms the recent passage amending tax law. The one thing owners need to know is that if there is a change in an existing corporate form, it needs to happen before the end of the first quarter. I am not in any way, a tax expert. While I was close to qualifying sitting for the CPA exam, just one semester shy of getting my undergraduate degree in accounting, I quite literally told my advisor, "I don't want people to know I can do this because just because you can, doesn't mean you should." What I do have is a strong referral network of ally tax attorneys and CPAs, that together, we can decide if it is indeed time to change the legal form of your business. This means, there are many hats, that as business owners, we wear. We can do our own bookkeeping, janitorial service, google for answers on tax law, find that there is a legal answer or service with good SEO for what seems to be a quick answer to our current hot button. Whatever your widget or service is for your business, would you want me to build/make/do it? Well, if it's legal services or make a mean meatloaf (need to add a link to my recipe for that! ), yes, you do. But if it's that thing that you were passionate about to start your business? No. Share the load. It's important to know your strengths and share the load where your weaknesses lay, to free you up to do what makes your business soar into 2018. Any information here is generic, and as the law changes, so too might the information shared. It in NO WAY establishes an attorney-client relationship, as that requires my knowing the specific facts and circumstances of your business and situation.